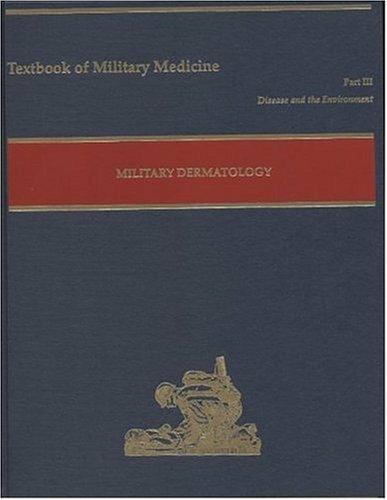 This volume places military dermatology in its historical context, emphasizes the conditions that specialists and general medical officers in the field are likely to see, and discusses diseases that are uncommon in the United States but prevalent worldwide in specific geographical locations. Concise supplemental reading material to assist in education of biological casualty management. This is a reference for the health care provider on the battlefield or in a clinic, who needs basic summary and treatment information quickly. This manual meets the first aid training needs of individual service members. Because medical personnel will not always be readily available, the nonmedical service members must rely heavily on their own skills and knowledge. This textbook focuses on the management of casualties of chemical and biological warfare. A historical overview of chemical and biological warfare is also given. Nonmilitary healthcare providers will also find this book to be extremely useful. This handbook is a reference source for the medical management of chemical casualties. Medical professionals should learn that medical defenses are possible, that casualties can be saved and returned to duty, and that mortality can be minimized.